When is my next raise? What is going on with National Bargaining? Am I going to have to pay more for healthcare? 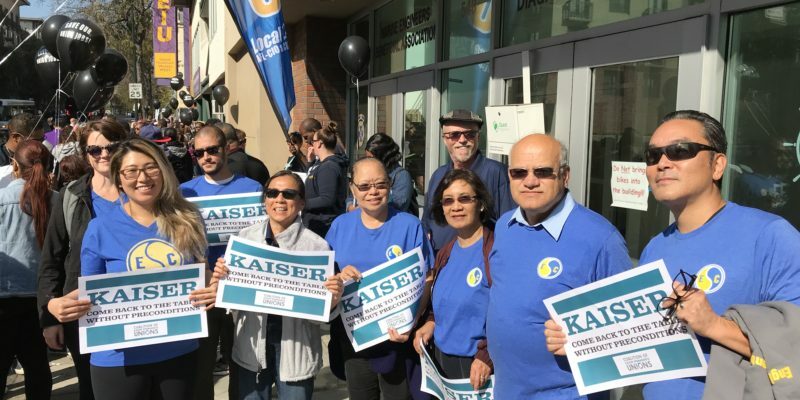 Tune-in to our Bargaining Update “Town Hall” teleconference and join members of the Coalition of Kaiser Permanente Unions across the country to discuss what is to be done to win a fair and just national agreement. Share your questions, experiences, and insights to strengthen our organization and achieve our common goals. On November 14th, you will get a pre-recorded call inviting you to join; remain on the line to be transferred to the live tele-town hall. Please sign-up below using your personal email (remove your work email if you are already logged in with that!) and cell phone. Once you are finished, please share with you co-workers!